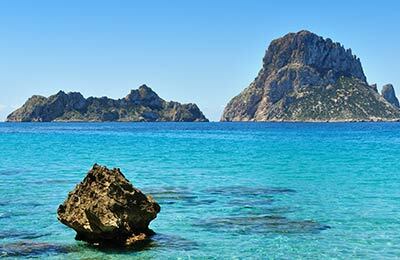 Alcudia is the main way of travelling in and out of the Spanish island of Majorca. AFerry allows you to look at all the regular scheduled sailings below, compare prices and find the journey that works for you. Balearia ferries operate fast ferries and conventional ships. Their ships are modern and well equipped. On board, you will find facilities including a cafe-bar, restaurant and shops in addition to a wide range of cabins and seating options. In 2009, Balearia introduced four new fast ferries under the brand name Balearia + . These ships offer an outstanding level of comfort and greater on board facilities. Balearia's philosophy is that your holiday should begin the moment that you step on board one of its ferries. 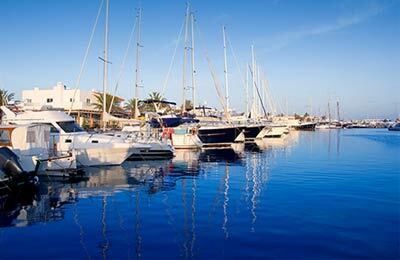 Alcudia Ferry Port lies on the north east coast of Majorca at the western end of the magnificent Bay of Alcudia. Alcudia Ferry Port area is very nice as well and represents one of the city's main attractions. From here, you can catch ferries to other Balearic islands and mainland Spain, all of which can be booked through AFerry. Alcudia Ferry Port offers a full range of services and facilities, and there are a pleasing selection of restaurants and bars a short walk away from the port. Upon entering Alcudia, follow signs to the C-713 heading towards Alcanada. Depending on where travelling from, the C-713 may be found to split, with the C-713 continuing one way and the PM-60 going the other. Continue along the C-713 where approximately 3.5 miles (5.5 kilometers), you will come to a roundabout. Continue along the C-713, which will then become the C-712 approximately 1 mile (1.5 ) kilometers after the roundabout. Continue along this road until you reach a roundabout where it will be sign-posted to the port. There are daily bus links between all villages and tourist resorts and the Plaça d'Espanya in Palma. From Palma there is an extensive network of urban buses which connect the city centre with the airport, Palma Beach-S'Arenal, the university and all areas of the city.